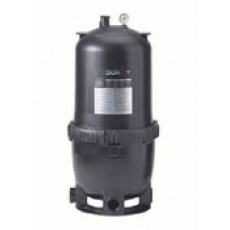 Sta-Rite's PLM200 modular media filtration is the perfect match for the small inground and aboveground pool markets. Advances in media technology and balanced flow design provide dirt-loading capabilities up to 15 times greater than sand filters of equivalent size. Virtually maintenance-free operation for today's pool owner. The small diameter footprint makes the System:2 filter a perfect fit for new and retrofit installations.